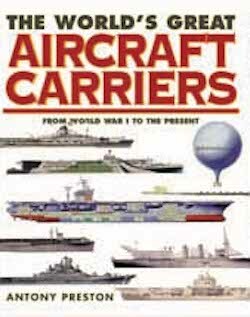 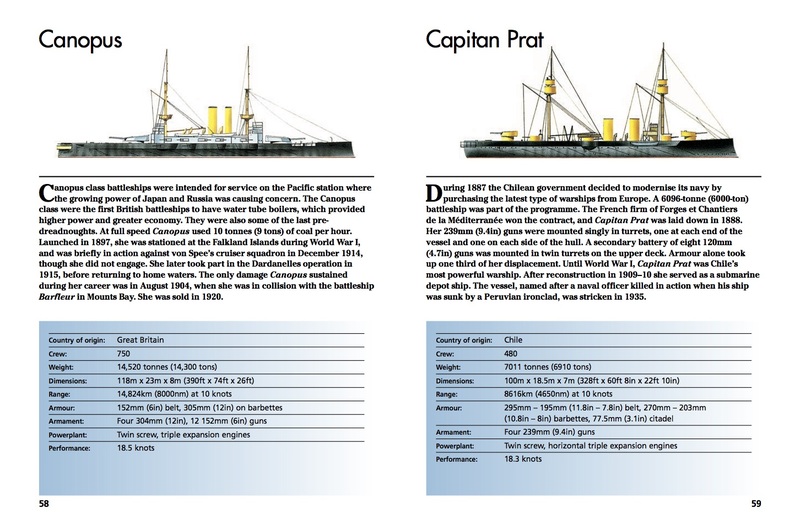 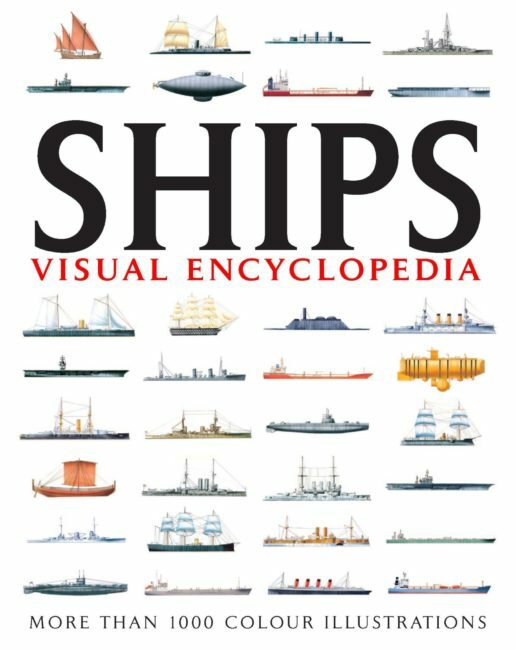 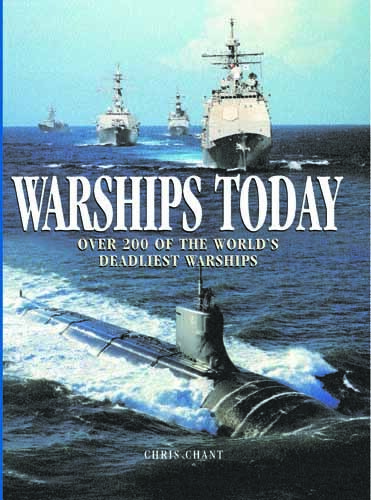 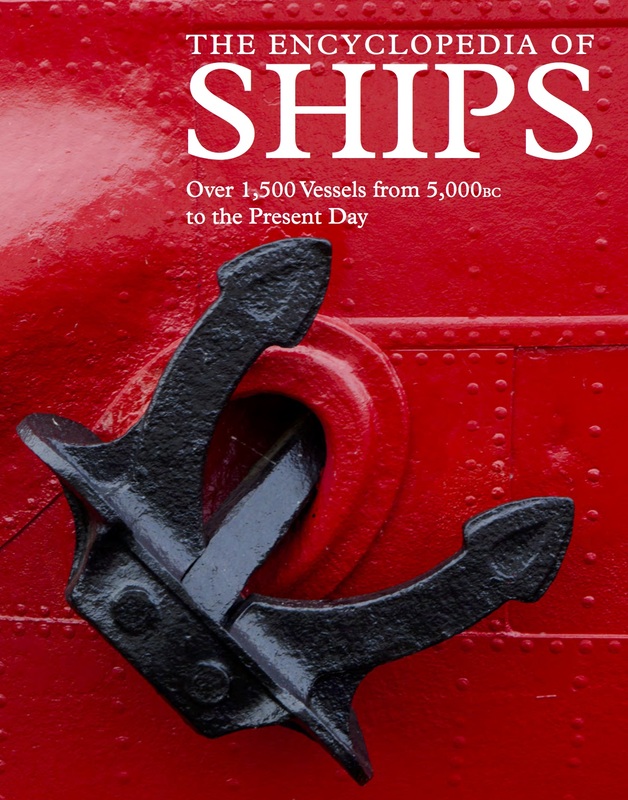 Expert Guide: Battleships and Carriers features 300 of the most significant capital ships to have sailed the seas since the age of sail. 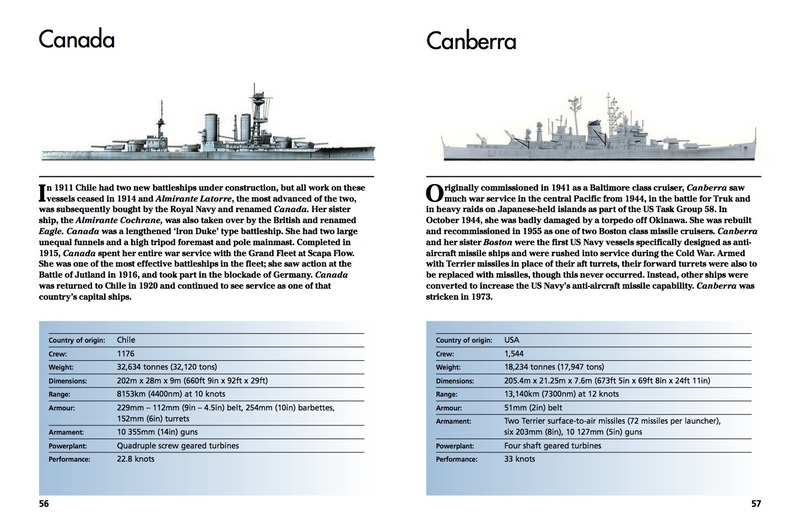 These include such famous battleships as Henri Grâce à Dieu in the 16th century, ironclads such as Indianola, Admiral Graf Spee, Bismarck, Iowa, Yamato and Dreadnought. 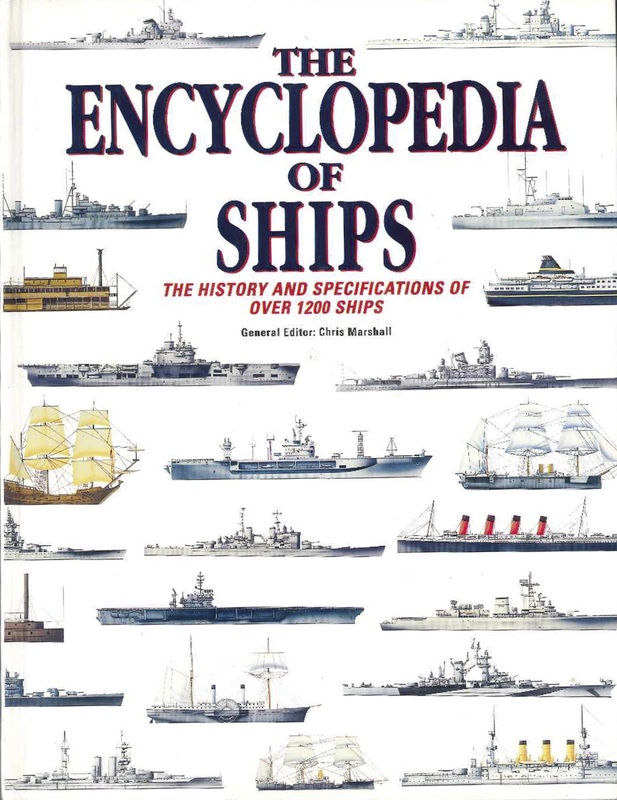 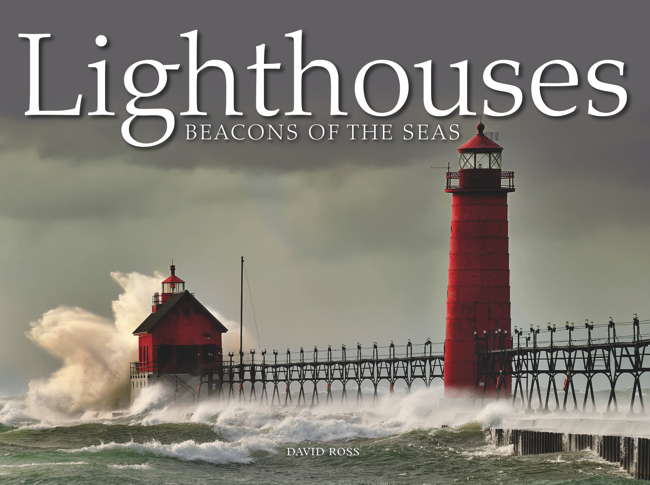 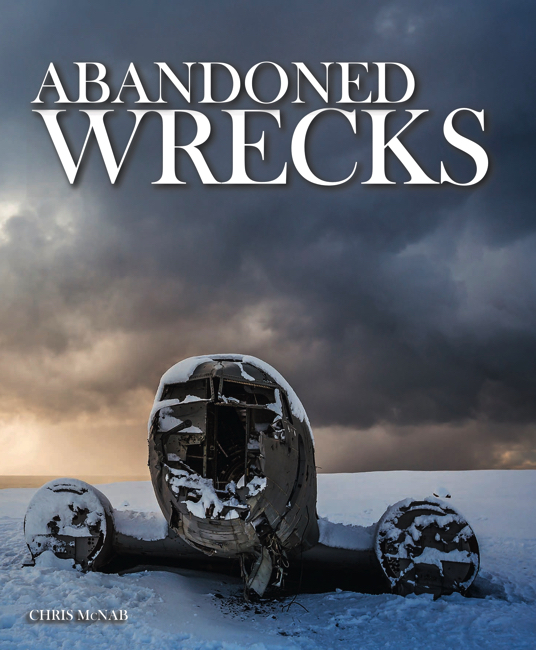 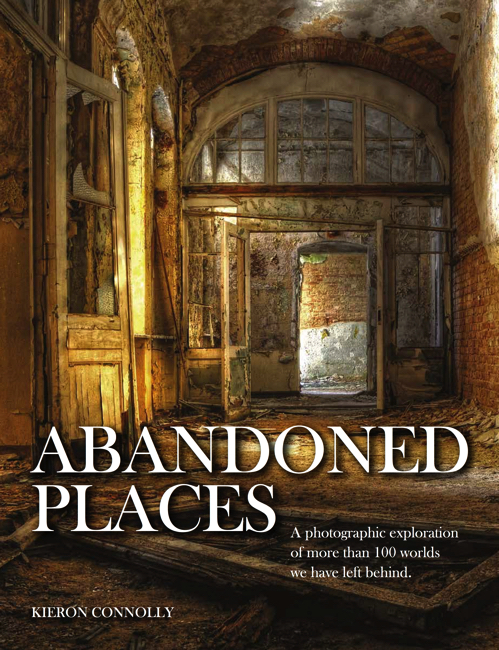 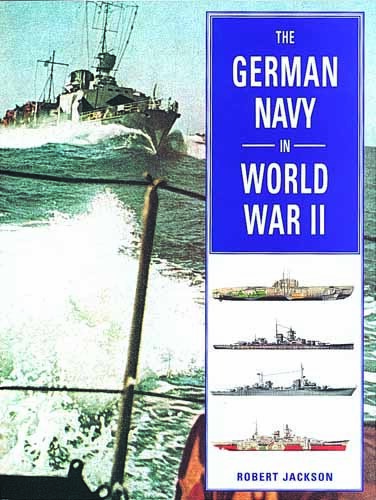 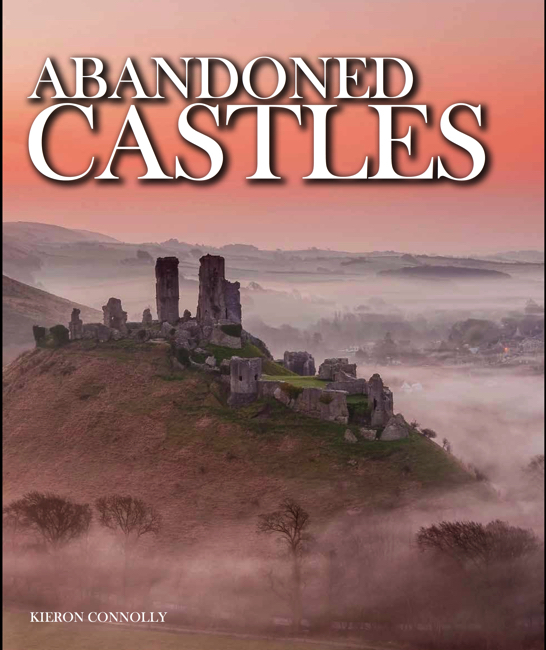 The book also includes the greatest aircraft carriers that served during World War I, such as HMS Furious, and World War II, such as USS Independence. 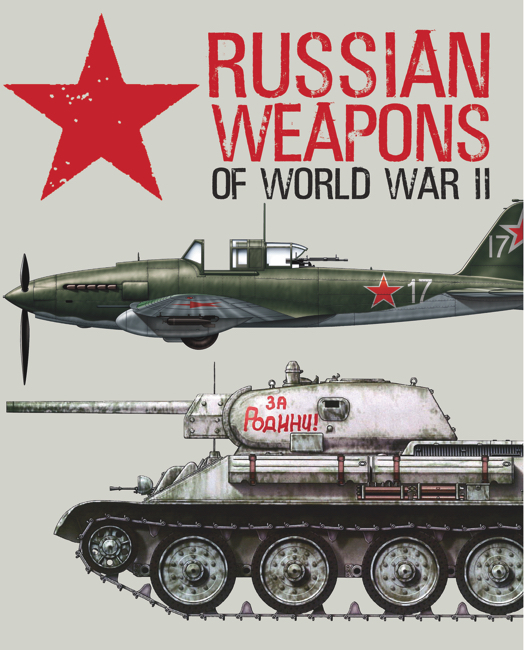 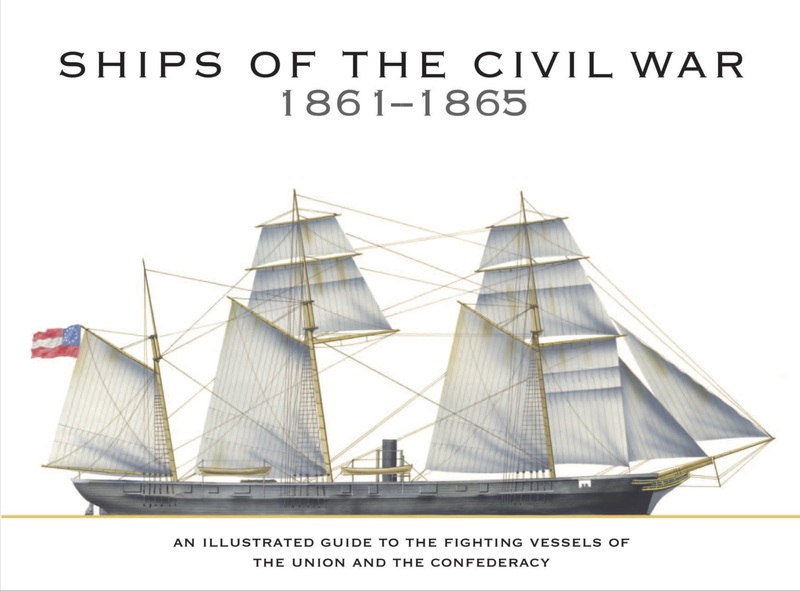 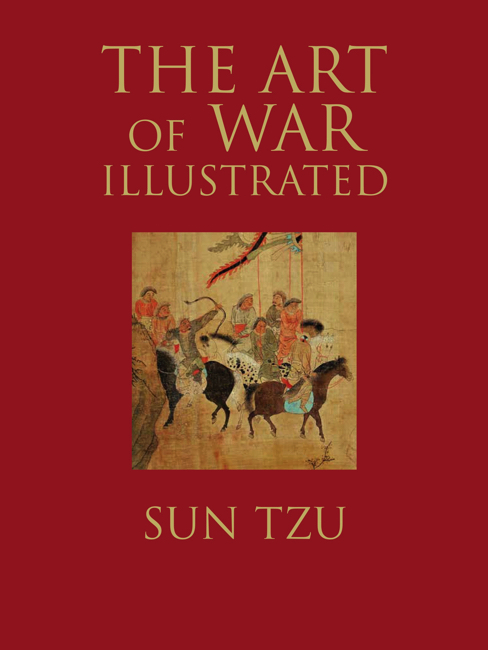 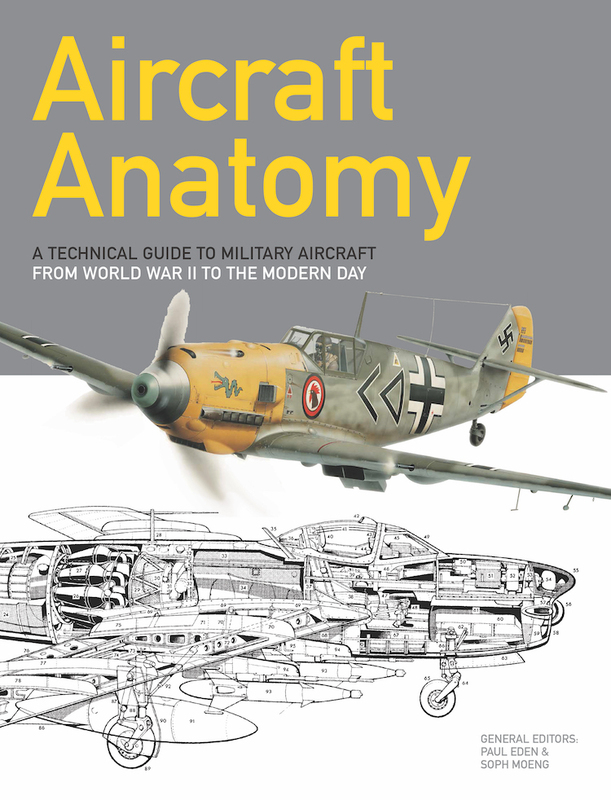 Each of the 300 vessels featured is illustrated with the aid of a superb side-view artwork. 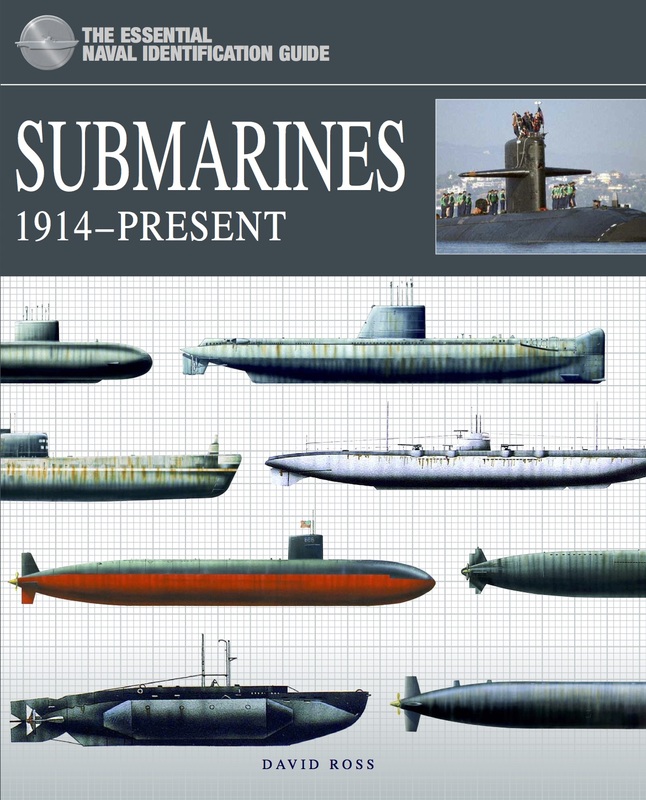 This is accompanied by a brief account of its development and service history, as well as a detailed specifications table giving displacement, dimensions, performance, date of launch and armament. 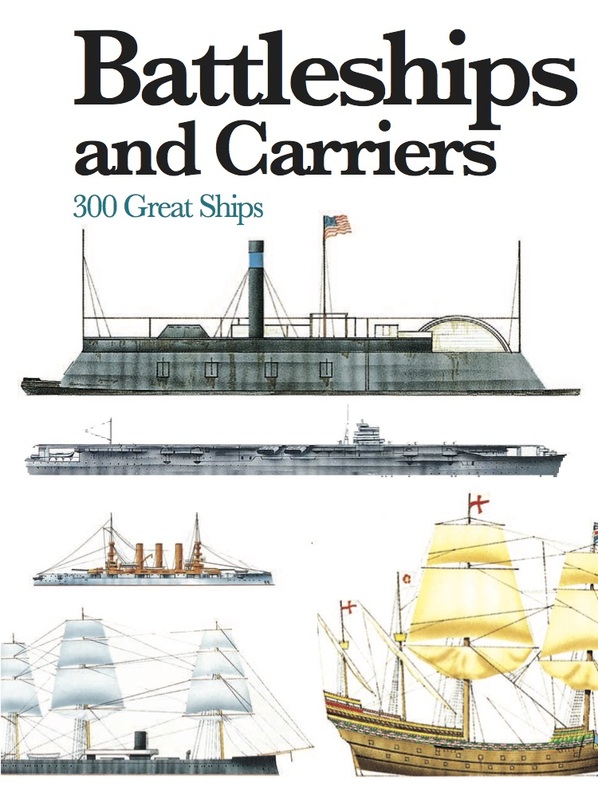 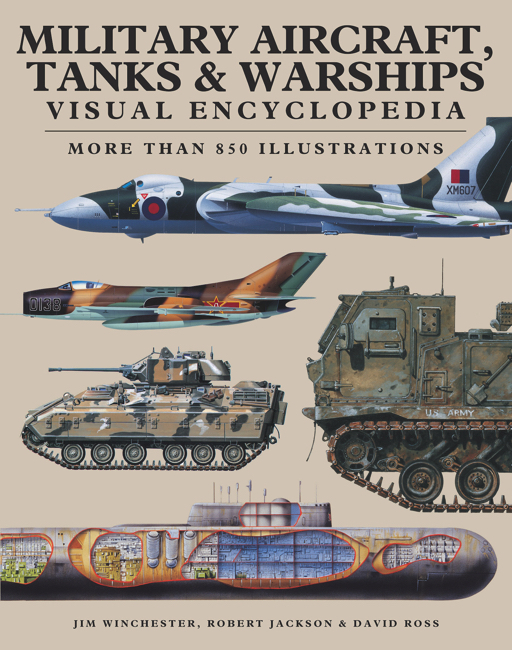 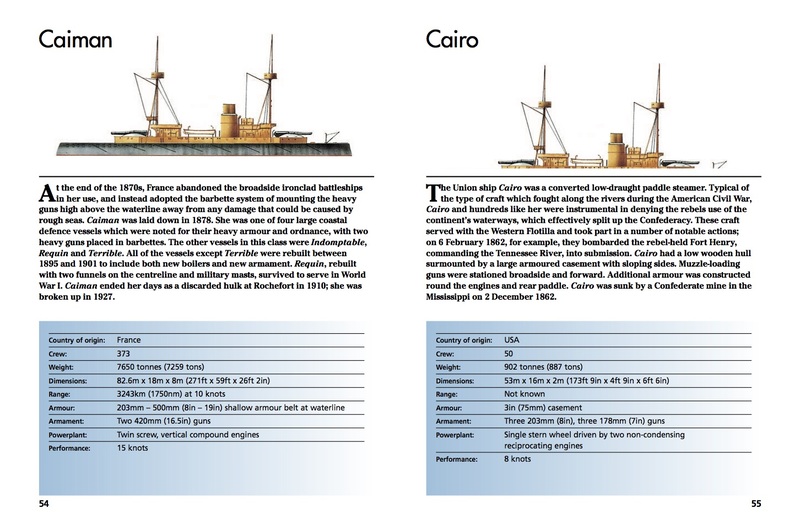 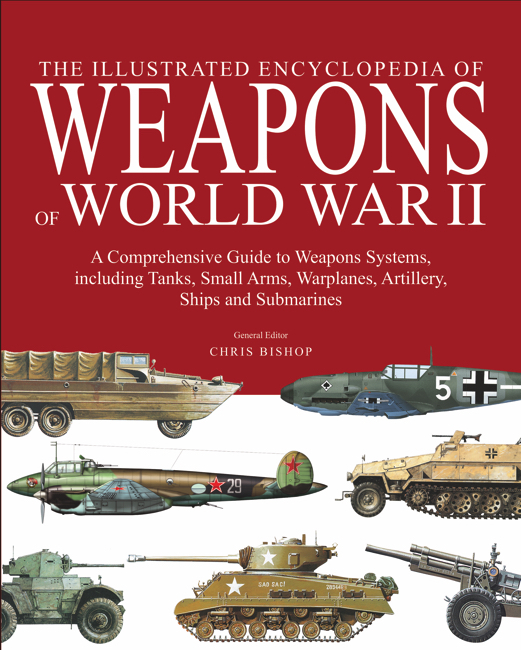 Presented in a handy, pocket-book size, arranged alphabetically and with 300 colour illustrations, Battleships and Carriers is an authoritative and accessible reference work, which will appeal to anyone with an interest in military technology and naval history.